The made in the USA Maxima; surely that would mean more quality from the bat. Maybe, but in modern washers that's not always guaranteed. This one comes with steam, which is the major upgrade from the 6000 counterpart. The steam feature making this washer 100 bucks more, too. PowerWash™ Cycle: Enjoy powerful cleaning action and thorough rinse power that can remove the toughest clothes stains such as coffee, soda and even mud. Steam for Stains option: - With select wash cycles, you have the option of choosing this feature which combines optimal water temperature and steam to ensure detergent enzymes work their magic and remove those organic stains. Oxi Boost option: Get additional stain-fighting additives with this option so you get maximum stain removal without doing any work. 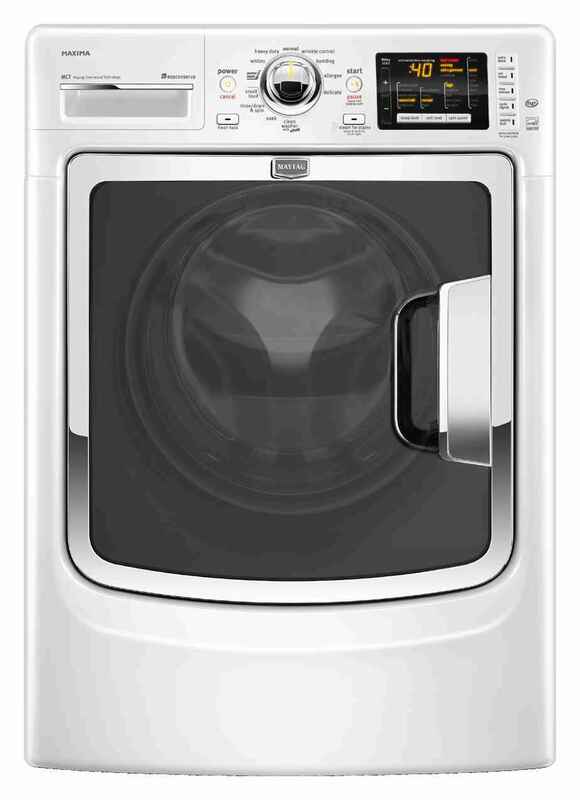 12 Wash cycles, 8 options : This washer features 12 wash cycles and 8 options that you can combine to get the ideal cycle you want for your loads. 16-hour Fresh Hold with Dynamic Venting Technology: This advanced technology ensures that your laundry is fresh and clean-smelling as it circulates air for up to 16 hours after the end of the wash cycle. You also have the option to select this feature manually for drying the washer interior and preventing dirt, molds and mildew build-up. Advanced Vibration Control: Since no one likes a noisy washer, the advanced vibration control reduces vibration and noise, giving you a smooth-running, quiet machine. Clean Washer Cycle with Affresh®: To remove build up and eliminate odor-causing soap residue, simply use this cycle with Affresh washer cleaner and you’ll have a washer that’s clean and smelling beautiful. : To remove build up and eliminate odor-causing soap residue, simply use this cycle with Affresh washer cleaner and you'll have a washer that's clean and smelling beautiful.